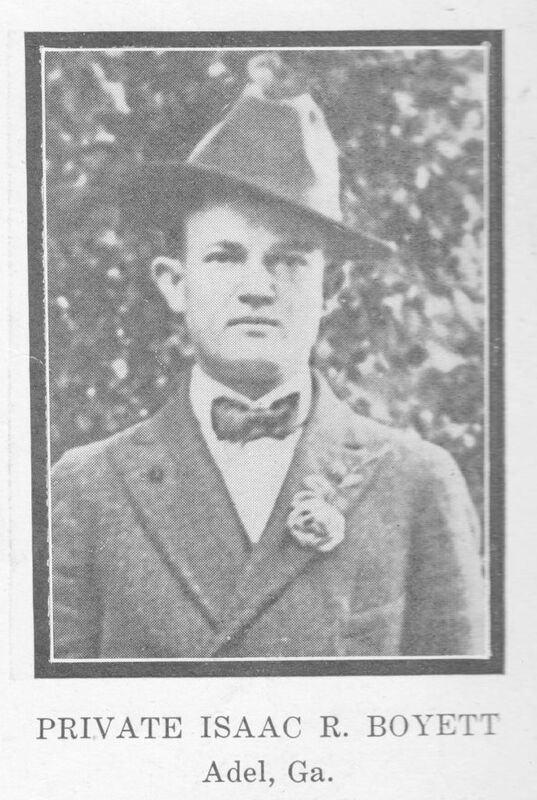 Private Boyett entered service April 2nd, 1918 at Camp Gordon, Atlanta, Ga., where he received his preliminary training beforevembarking for over-sea service. Was attached to Company “C,” 328th Infantry. Private Boyett was wounded while in the front line trenches October 10th, 1918, death resulting very shortly thereafter.